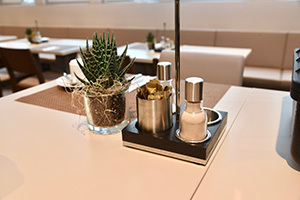 Since March 2017, Hotel Bonn City has been magnificently refurbished and extended. 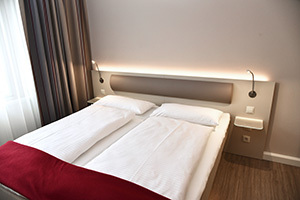 Our 19 new single and double rooms await our guests in deluxe quality and with a modern lighting and colouring concept. 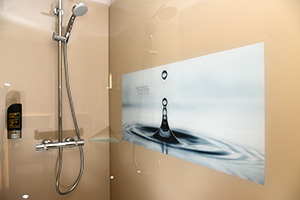 These rooms can be used by individuals as well as couples or by up to 5 persons. 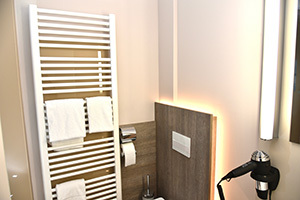 Some double rooms can be transformed to a family residence via connecting doors if needed. 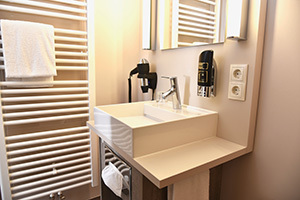 The tastefully furnished suite is comprised of a sleeping and a living area. 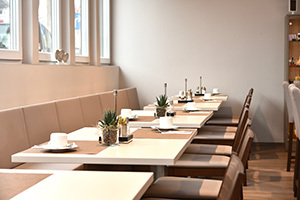 In the morning, Hotel Bonn City invites its guests to have breakfast in the new breakfast room with coffee specialities and an open kitchen. 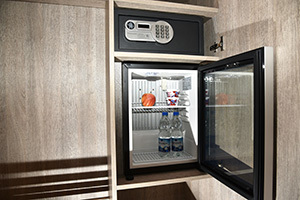 If you wish to leave before breakfast, a breakfast box will be delivered to your room on the evening before your departure. In this case, please inform the reception on your arrival. 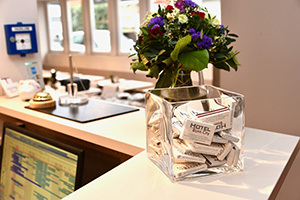 Our reception is happy to answer your questions. We can keep your luggage for you at any time. Just ask one of the receptionists! If you should arrive after 9 PM, please use our key safe. Our receptionists will give you the current access code. 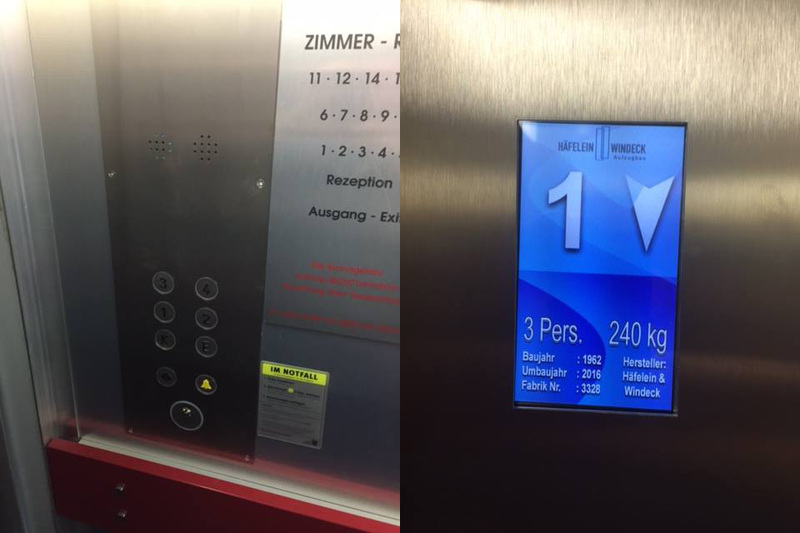 Even though Hotel Bonn City is not entirely barrier-free, our hotel guests with limited mobility can use our newly renovated elevator. 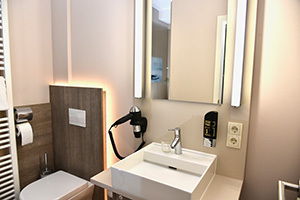 The elevator was built in 1962 by the Bonn company Häfelein und Windeck and now has been completely modernised and updated with state-of-the-art technology by the original company owner’s great-grandson.